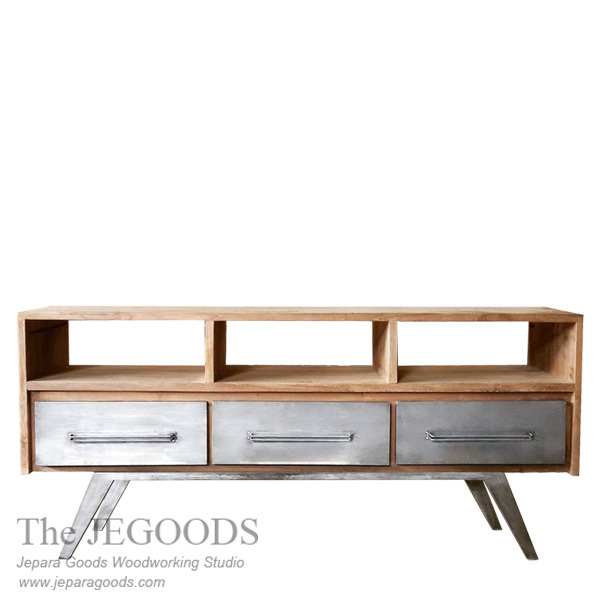 Following concept of Scandinavian style, this buffet console designed with iron combined with solid teak wood. This industrial furniture can bring a wild look into your room with industrial vintage concept style. The body is made of solid teak wood, and the legs made of hollow iron combined with 0,5mm iron plate at the front drawers. We design, manufacture and supply rustic industrial vintage furniture from Indonesia with traditional construction method by our skilled craftsmen in Jepara, Central Java.